WE is a movement that brings people together and gives them the tools to change the world. Our unique family of organizations empowers people at home, around the world and with our social enterprise. Our vision is to shift the world from “me” to “we.” Our mission is to empower all people to change the world, locally and globally, achieving transformative outcomes for themselves and others. In committing ourselves to such a mission and vision, we also seek to properly honour those that join us through participation in our programs, products, experiences, events or services. We are committed protecting how members of the WE movement work with us online and how we protect their privacy in such a capacity. As such, all collection, use and disclosure of Personal Information by the WE movement’s legal bodies (WE Charity and ME to WE and their respective affiliates) is governed by the Personal Information Protection and Terms of Service (“TOS”), and any applicable legislation. The Terms of Service explain what Personal Information is collected from members of the WE movement and how it is used. It also explains how you can ask questions, make suggestions, and address concerns about our privacy practices. WE Charity and ME to WE provide their services to you, subject to the following TOS, which may be updated by us without express notification. You can always review the most current version of the TOS at any time by visiting WE.org and clicking on the Privacy link in the footer. In addition, please note that particular WE Charity or ME to WE services will be subject to posted guidelines or rules provided by staff of WE Charity or ME to WE. All such guidelines or rules are hereby incorporated by reference into the TOS.  WE Charity is part of the WE Movement that empowers people to change the world through its programs including WE Schools, WE Villages, and WE Families. WE Charity provides online members of the WE Movement with access to countless resources, including various communications tools, curriculum-based information, and collections of expressions, forums, and content through its web site. ME to WE creates social conscious products and experiences that empower people to change the world through their everyday choices. ME to WE products include artisan products, apparel, and supplies. ME to WE experiences include immersive volunteer trips, summer camp experiences, leadership development opportunities, motivational speaker services, and the Track Your Impact transparent tracking system. Any new features that would improve the current Services, including the release of new ME to WE or WE Charity sites and features, shall be subject to the TOS. In exchange for your use of the Services, you agree to provide true, accurate, current and complete information about yourself when we kindly ask for such information (e.g. mailing lists, registration forms, etc.). If you provide any information that is untrue, inaccurate, not current or incomplete, or ME to WE and WE Charity has reasonable grounds to suspect that such information is untrue, inaccurate, not current or incomplete, WE Charity and ME to WE have the respective right to remove your information from our database and refuse any and all current or future use of the Service (or any portion thereof). ME to WE and WE Charity collect personal contact information that you provide (for example, name, address, e-mail address and telephone numbers) when you sign up for a newsletter, take the We Pledge, make a donation, choose to participate in a free Service or choose to purchase any paid Service. This information is used to fulfill your request, respond to your inquiries, and (if you ask us to keep you in the loop) empower you to take world-changing actions on issues and programs that are important to you. All information, data, text, software, music, sound, photographs, graphics, video, messages or other materials (collectively, “Content”), whether publicly posted or privately transmitted, are the sole responsibility of the person from which such Content originated. This means that you are responsible for any Content that you upload, post, e-mail, transmit or otherwise make available via the Services (and WE Charity or ME to WE will not be responsible). WE Charity and ME to WE have respective limited control of the Content posted via the Services and, as such, does not guarantee the accuracy, integrity or quality of such Content. Under no circumstances will WE Charity or ME to WE be liable in any way for any Content, including, but not limited to, for any errors or omissions in any Content, or for any loss or damage of any kind incurred as a result of the use of any Content posted, e-mailed, transmitted or otherwise made available via any of the Services. You acknowledge that ME to WE or WE Charity may not pre-screen Content, but that ME to WE and WE Charity and its agents and designees shall have the right (but not the obligation) in their sole discretion to refuse or move any Content that is available via the Services. Without limiting the foregoing, ME to WE and WE Charity and their respective agents and designees shall have the right to remove any Content that violates these Terms of Service or is otherwise objectionable. You agree that you must evaluate, and bear all risks associated with, the use of any Content, including any reliance on the accuracy, completeness, or usefulness of such Content. In this regard, you acknowledge that you may not rely on any Content created by ME to WE or WE Charity or submitted to ME to WE or WE Charity. You acknowledge and agree that ME to WE and WE Charity may preserve Content and may also disclose Content if required to do so by law or in the good faith belief that such preservation or disclosure is reasonably necessary to: (a) comply with court order, legal process or the inquiry of any court, administrative proceeding, regulatory body or other judicial proceeding; (b) enforce these terms of service; (c) respond to claims that any Content violates the rights of third-parties; or (d) protect the rights, property, or personal safety of ME to WE or WE Charity, our visitors and the public. Recognizing the global nature of the Internet, you agree to comply with all local rules regarding online conduct and acceptable Content. Specifically, you agree to comply with all applicable laws regarding the transmission of technical data exported from Canada, the United States, the United Kingdom, or the country in which you reside. With respect to Content (including written materials, photos, graphics, audio or video) you submit or make available for inclusion on publicly accessible areas of the Service, the perpetual, irrevocable and fully sub-licensable license to use, distribute, reproduce, modify, adapt, publish, translate, publicly perform and publicly display such Content (in whole or in part) and to incorporate such Content into other works in any format or medium now known or later developed. You agree to exempt from penalties and hold ME to WE and WE Charity, and their respective affiliates, officers, agents, co-branders or other partners, and employees, harmless from any claim or demand, including reasonable attorneys’ fees, made by any third party due to or arising out of Content you submit, post, transmit or make available through the Service, your use of the Service, your connection to the Service, your violation of these terms of service, or your violation of any rights of another. The Services may provide, or third parties may provide, links to other World Wide Web sites or resources. Because ME to WE and WE Charity have no control over such sites and resources, you acknowledge and agree that neither ME to WE nor WE Charity is responsible for the availability of such external sites or resources, and does not endorse and is not responsible or liable for any Content, advertising, products, or other materials on or available from such sites or resources. You further acknowledge and agree that neither ME to WE nor WE Charity shall be responsible or liable, directly or indirectly, for any damage or loss caused or alleged to be caused by or in connection with use of or reliance on any such Content, goods or services available on or through any such site or resource. These Terms of Service constitute the entire agreement between you, ME to WE and WE Charity, and govern your use of the Services, despite any prior agreements between you and ME to WE or WE Charity. You also may be subject to additional terms and conditions that may apply when you use affiliate services, third-party content or third-party software. The laws of the Province of Ontario and the federal laws of Canada applicable therein shall govern the TOS, and the relationship between you, ME to WE, and WE Charity. You, ME to WE, and WE Charity agree to submit to the personal and exclusive jurisdiction of the courts located within the City of Toronto, Ontario. The failure of ME to WE or WE Charity to exercise or enforce any right or provision of the TOS shall not constitute a waiver of such right or provision. If any provision of the TOS is found by a court of competent jurisdiction to be invalid, the parties nevertheless agree that the court should endeavour to give effect to the parties’ intentions as reflected in the provision, and the other provisions of the TOS remain in full force and effect. ME to WE and WE Charity reserve the right at any time to modify or discontinue, temporarily or permanently, the Services (or any part thereof) with or without notice. You agree that ME to WE and WE Charity shall not be liable to you or to any third party for any modification, suspension or discontinuance of the Service. You agree that ME to WE or WE Charity, in their respective sole discretion, may remove your information from our database system or use of the Services, and remove and discard any Content within the Services, for any reason, including, without limitation, for lack of use or if ME to WE or WE Charity believes that you have violated or acted inconsistently with the letter or spirit of the TOS. ME to WE and WE Charity may also in their respective sole discretion and at any time discontinue providing the Services, or any part thereof, with or without notice. You agree that any termination of your access to the Services under any provision of this TOS may be effected without prior notice, and acknowledge and agree that ME to WE and WE Charity may immediately deactivate or delete your information from our database system and/or bar any further access to the Service. Further, you agree that ME to WE or WE Charity shall not be liable to you or any third-party for any termination of your access to the Service. YOUR USE OF THE SERVICE IS AT YOUR SOLE RISK. THE SERVICES ARE PROVIDED ON AN “AS IS” AND “AS AVAILABLE” BASIS. ME TO WE AND WE CHARITY HAVE EXPRESSLY DISCLAIMED ALL WARRANTIES OF ANY KIND, WHETHER EXPRESS OR IMPLIED, INCLUDING, BUT NOT LIMITED TO THE IMPLIED WARRANTIES OF MERCHANTABILITY, FITNESS FOR A PARTICULAR PURPOSE AND NON-INFRINGEMENT. NO ADVICE OR INFORMATION, WHETHER ORAL OR WRITTEN, OBTAINED BY YOU FROM ME TO WE AND WE CHARITY OR THROUGH OR FROM THE SERVICES SHALL CREATE ANY WARRANTY NOT EXPRESSLY STATED IN THE TOS. YOU EXPRESSLY UNDERSTAND AND AGREE THAT ME TO WE AND WE CHARITY SHALL NOT BE LIABLE FOR ANY DIRECT, INDIRECT, INCIDENTAL, SPECIAL, CONSEQUENTIAL OR EXEMPLARY DAMAGES, INCLUDING BUT NOT LIMITED TO, DAMAGES FOR LOSS OF PROFITS, GOODWILL, USE, DATA OR OTHER INTANGIBLE LOSSES (EVEN IF ME TO WE OR WE CHARITY HAS BEEN ADVISED OF THE POSSIBILITY OF SUCH DAMAGES), RESULTING FROM: (i) THE USE OR THE INABILITY TO USE THE SERVICES; (ii) THE COST OF PROCUREMENT OF SUBSTITUTE GOODS AND SERVICES RESULTING FROM ANY GOODS, DATA, INFORMATION OR SERVICES PURCHASED OR OBTAINED OR MESSAGES RECEIVED OR TRANSACTIONS ENTERED INTO THROUGH OR FROM THE SERVICE; (iii) UNAUTHORIZED ACCESS TO OR ALTERATION OF YOUR TRANSMISSIONS OR DATA; (iv) STATEMENTS OR CONDUCT OF ANY THIRD PARTY ON THE SERVICE; OR (v) ANY OTHER MATTER RELATING TO THE SERVICE. Please report any violations of the TOS to WE Charity or ME to WE. Personal information is any information that can be used to identify you as an individual, including your name, address, credit card details, phone number, age, passport information, medical history and any other personally identifiable information you choose to provide to ME to WE or WE Charity. If you use the Sites, register as a ME to WE or WE Charity visitor on the Sites, apply for or request information about Services offered by ME to WE or WE Charity, sign up for a newsletter, take the We Pledge, make a donation, engage in a free Service or purchase any paid Service, ME to WE or WE Charity (as applicable) will use this information to fulfill your request, respond to your inquiries, and ensure that you are kept up to date on world-changing actions that you have identified as important to you. By providing your Personal Information, you consent to the collection, use, disclosure and management of your Personal Information in accordance with this Policy. WE Charity collects Personal Information from you by asking you to provide Personal Information such as your name, age, address and email address when you register as a visitor on the Sites, apply to receive e-updates or other WE Charity products or services. We Charity collects Personal Information such as your name, address and credit card details when you make a donation through the Sites. ME to WE collects information from you by asking you to provide Personal Information such as your email address when you register to receive correspondence. We also collect Personal Information such as your name, age, address, email address, credit card details, passport information and medical information where required, when you request Services, such as scholarships, fundraising ideas and trips offered by ME to WE. If you are under 18, please obtain your parent or guardian’s permission before you send any Personal Information to ME to WE or WE Charity, or anyone else, over the Internet. We strongly encourage parent or guardian participation and understanding of their children’s online usage and to be aware of the activities in which their children are participating. If you are under the age of 13, we encourage you to use the site with your parent’s supervision and oversight. If you are under the age of 13 and live in the United States, you must submit the parental consent form (available here) to [email protected] prior to providing any Personal Information to us. We do not intend to collect Personal Information of visitors to the Sites who are under the age of 13. If you are under the age of 13, you must either (a) disable cookies in your browser and use the Google Analytics Opt-Out Browser Add-on to disable tracking by Google Analytics; or (b) submit the parental consent form (available here) to [email protected]. If you are under the age 13, do not reveal your age in any content you provide on our through the Site unless you are expressly asked by us to do so and you have completed the actions listed in this paragraph’s (a) and (b) identifiers. While you use the Sites, certain information is collected without you actively providing it, including information about your IP address and type of operating system, the time you spent on the Sites and which pages you visited. This helps us improve our Sites. This data is not used to identify individuals. We track IP addresses for: (i) troubleshooting issues; (ii) voting events, confirm people are not voting for an individual more than once; and (iii) for all people who are filling out online forms, for the purpose of spam filtering. We have implemented Google Analytics features based on Display Advertising (Google Analytics Demographics and Interest Reporting) that allows for the collection of non-personally identifiable aggregated user data; this includes aggregated gender, age, and interest behaviour data. We will use the data provided by Google Analytics Demographics and Interest Reporting to develop the site and content around our users’ interests. You can opt-out of Google Analytics for Display Advertising and customize Google Display Network ads using the Ads Settings. In addition, you can use the Google Analytics Opt-Out Browser Add-on to disable tracking by Google Analytics. Personal information collected by ME to WE and WE Charity will only be used or disclosed for purposes described in this Policy or for other purposes that we have informed you of at the time of collecting that information. Before your Personal Information will be used or disclosed for a new purpose, we will ask you for your consent, unless use or disclosure without your consent in the circumstances is otherwise permitted or required by law, regulation or court order. We use and disclose your Personal Information to fulfill your requests for certain products or Services or information about such products or Services, process donations, contact you in response to requests for information and to respond to voluntary comments. We may also use Personal Information to customize the Sites to your preferences, to improve the content of our Sites, and to research Site usage patterns. parties to whom we have agreed to provide anonymized and/or aggregated data, though we will remove personal identifiers before we do so. We may access, preserve and share your information in response to a legal request (such as a search warrant, court order or subpoena) where we believe we are required to do so. We may also access, preserve and share information when we have a commercially reasonable belief it is necessary to: (1) detect, prevent and address fraud and other illegal activity, (2) to protect ourselves, you and others, including as part of investigations, and (3) to prevent death or imminent bodily harm. Information we receive about you may be accessed, processed and retained for an extended period of time when it is the subject of a legal request or obligation, governmental investigation, or investigations concerning possible violations of our terms or policies, or otherwise to prevent harm. We also may retain information from accounts disabled for violations of our terms for at least a year to prevent repeat abuse or other violations of our Terms of Service. ME to WE and WE Charity stores and transmits your digital information using modern security standards such as SSL Encryption. Your information is stored and protected with up to date username and passwords which are mandated to be secure, and use two-factor authentication where possible. Your data may transfer and be stored on a number of servers and storage locations including but not limited to the USA, Canada and UK. The transmission of this data is always secure and encrypted. These servers and cloud-providers are independently operated and secured. Any breaches or data loss as a result of a failure of these providers are not the responsibility of ME to WE and WE Charity and their affiliates. You are not required to register as a visitor or take the WE Pledge (“Registering”) in order to access the Sites. Registering may, however, allow you to be registered as a user and access additional functions on the Sites. If you make a donation without completing a visitor profile, information such as your billing, contact information and preferences will still be collected in order to execute the requested transaction but will not be stored on the Sites in a visitor’s profile. As a registered visitor, WE Charity and ME to WE give you the ability to decide whether or not you want to receive correspondence. If you provide us with your email address and do not opt-out in your visitor profile, you may occasionally receive emails from WE Charity and ME to WE. We may use your email address submitted through the Sites for the following purposes: (i) when you are registering for a program, we may sometimes confirm your email address is accurate and (ii) we will send a thank you email when you sign up, or register for an event or if you subscribe to our newsletter or weekly column. We hope you will find these emails interesting and informative. Of course, if you would rather not receive this information, you can unsubscribe. In addition, communications sent to you will also contain a message on how to opt-out of that type of communication in the future. You may refuse to provide Personal Information to ME to WE or WE Charity and may, subject to legal or contractual restrictions and reasonable notice, withdraw consent at any time to our continued use and disclosure of Personal Information previously collected. Please note that refusing or withdrawing your consent in respect of our handling of certain Personal Information may result in us being unable to provide you with certain WE Charity or ME to WE products or Services. You can withdraw your consent at any time by writing to [email protected]. When you provide Personal Information through the Sites, we protect your Personal Information by encrypting the Personal Information that is transmitted between you and the Sites. You can ask to view Personal Information about you held by WE Charity or ME to WE by writing to [email protected] You can request that corrections be made where you can show that the Personal Information about you that we possess is incorrect or incomplete. Please note that under certain circumstances, you may not be permitted to view your records, such as where the disclosure of your records would cause security, legal or confidentiality concerns, and including where ME to WE or WE Charity is prohibited by law to disclose that to you. The Sites may contain links to other websites. While we try to link only to websites that share our standards and respect for privacy, we are not responsible for the content or privacy practices of other websites. We strongly encourage all visitors to the Sites to review the privacy statements and policies of all external websites. Please contact [email protected] or in writing to WE, 233 Carlton St., Toronto, Ontario, M5A 2L2, Canada, with any questions or concerns you have about this Policy or about ME to WE or WE Charity’s handling of your Personal Information.